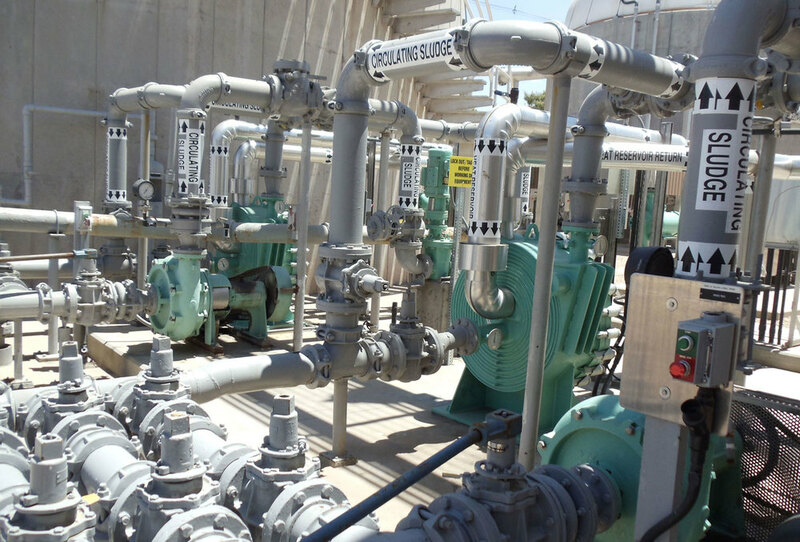 Over the last 20 years, Gooch Thermal has emerged as the leading American manufacturer of spiral heat exchangers for municipal and industrial wastewater treatment plants. Gooch Thermal spiral heat exchangers excel in sludge heating, cooling, and pasteurization applications. Our sludge digester heaters are serving dozens of small and large communities across North America and our presence is growing internationally. 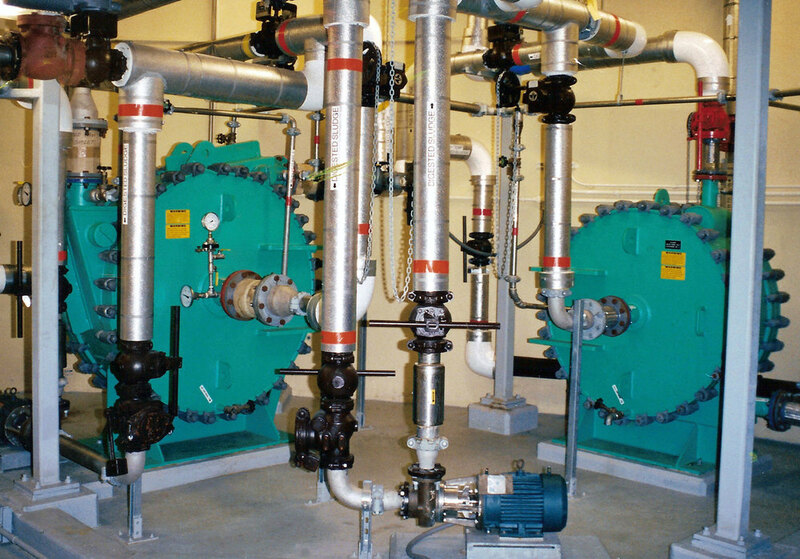 Our sludge spiral heat exchangers are a superior solution for replacing pipe-in-pipe sludge heaters. 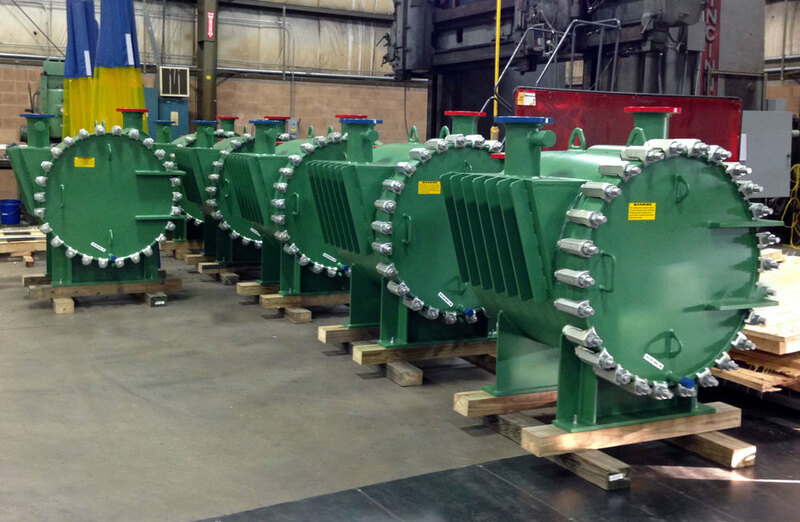 We also frequently manufacture direct “drop-in” replacements for older spiral heat exchanger models supplied by Dorr-Oliver™, American Heat™, and other manufacturers. Partial shipment of six (6) Gooch Thermal spiral heat exchangers for one of the world's largest wastewater treatment plants in Mexico. 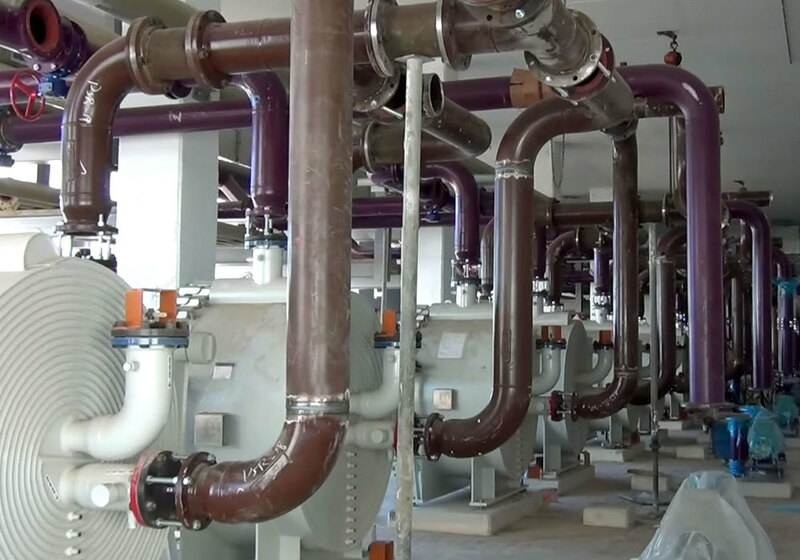 Gooch Thermal Type 1-DO spiral heat exchangers are designed to maintain the required sludge temperature range in anaerobic digesters for optimal growth of mesophilic and thermophilic bacteria and stabilization of sludge. Our spiral heat exchangers are also used in green anaerobic digestion processes that produce biogas from organic wastes such as livestock manure, food by-products, fats, oils, and grease. Biogas, a mixture of methane and CO2, is a renewable energy that can be combusted to generate heat and electricity. After dewatering, the remaining pathogen-free biosolids can be used for soil conditioning as fertilizer.